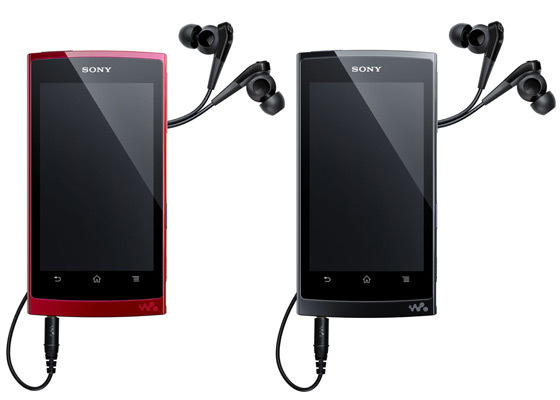 The Sony Walkman PMP has today officially been announced by Sony. The portable media players will be labelled as the "Z Series" of devices, and represents Sony's second foray into the android world after its recently announced android tablets. The devices have the traditional Walkman style merged I guess with what you might see on current Sony Ericsson android phones, especially from the front. The Z-Series do not have any camera, with Sony seeminglyÂ positioningÂ this device firmly as a PMP. It also comes in with some very decent specs, including a dual-core CPU (are you listening Sony Ericsson??). The Device is going to launch in Japan on December 10th for a price ofÂ Â Â¥28,000 (Â£230) for theÂ 16GB version,Â Â¥33,000 (Â£270)Â for the 32GB version and Â¥43,000 (Â£350)Â for theÂ 64GB version. If those prices do relate to the UK cost, then that is pretty ambitious pricing from Sony. They may be trying to offer a premium price for the Walkman branding, but I'd guess many people would rather spend that type of money on a device that offers all the features the Walkman PMP has, but with the addition of a camera and phone capability..